Along with many other readers, I first discovered Winifred Holtby through her connection with Vera Brittain, whose memoir – The Testament of Youth – is considered a classic for its depiction of the impact of the Great War on the British middle classes, particularly the women. Holtby and Brittain were at Oxford together; after graduating the pair shared a flat in London where they went on to pursue their respective literary careers. 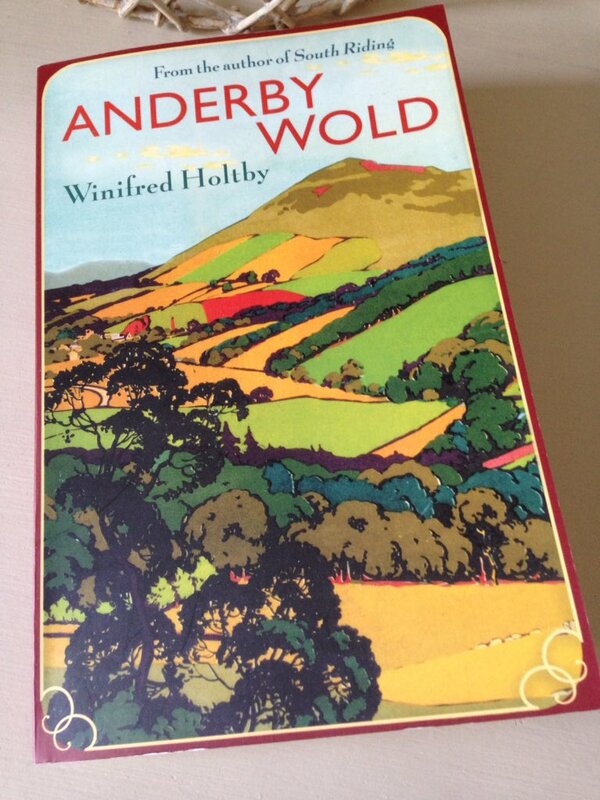 Anderby Wold was Holtby’s first novel – an absorbing story of traditional Yorkshire farming folk grappling with the challenges of financial survival in an environment poised on the brink of great social change. 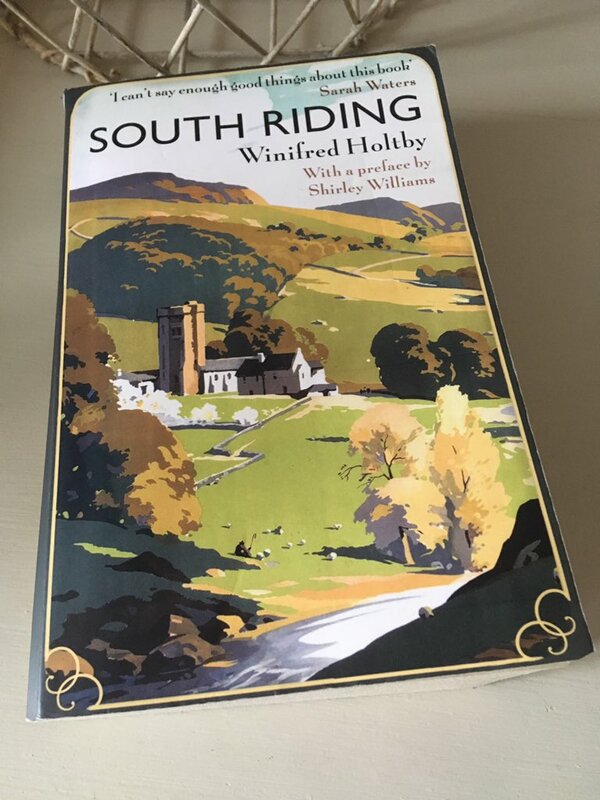 I enjoyed it a great deal, especially the portrayal of the novel’s central character, Mary Robson, the rather headstrong joint-owner of Anderby Wold farm, situated in the East Riding region of Yorkshire. When her errant father, Ben, died some ten years earlier leaving a multitude of debts, Mary married her steady but desperately unexciting cousin, John Robson, in order to secure a stable future for her family’s farm. It was a union borne out of necessity rather than passion or desire, especially given the large gap in their ages – Mary was just eighteen when she married John, a placid man in his early forties at the time. Now, after ten years of hard work on the farm and much scrimping and saving, the couple have made the final payment on the mortgage; thus Anderby Wold is financially secure, at least for the moment. As the novel opens, John’s older sister, the formidable Sarah Bannister and her henpecked husband, Tom, are travelling to Anderby for a celebratory tea party to be hosted by the Robsons. Sarah – initially portrayed as a bitter and twisted woman – has always resented Mary for blighting John’s life. She considers Mary a selfish and conceited individual with little regard for John’s wishes and desires, especially given the fact that John had virtually given up work on his own farm at Littledale all those years ago in order to come to her aid at the Wold. Mary makes all the major decisions concerning the farm, with mild-mannered John deferring to the better judgement of his wife in virtually all matters. There is also a sense that Mary has let John down by failing to produce a child, someone to carry on the family name and tradition – a feeling that emerges a couple of times in the story. In this scene, we are privy to Sarah’s uncensored thoughts as her cart approaches the Robsons’ estate. Various aunts and uncles, cousins and other family members have come together to toast the Robsons’ achievement in paying off their mortgage. Holtby does a great job in drawing out the family tensions, particularly those between Mary and her cousin, Sarah. Nothing that Mary can do will ever be good enough for Sarah, the woman who thinks she knows John better than anyone else in the family fold. Nevertheless, as the story progresses, the reader can see that Sarah cares very deeply for her rather sensitive brother – ultimately, a slightly softer side of her personality emerges as it becomes clear that she only has John’s best interests at heart. The Robsons are conventional folk, and their families have worked the land in pretty much the same way year in year out for several centuries. They believe in traditional values and morals, treating their workers with respect and consideration, paying them a modest wage augmented by generous hospitality at the end of each harvest. While John works on the farm, Mary busies herself with a variety of charitable work in the village. She organises whist drives and social events in aid of the local school, visits the sick and infirm, and offers support where it is needed. In short, Mary likes to think of herself as absolutely indispensable to the community of Anderby. While many of the villagers and farm workers appreciate Mary’s efforts, others remain somewhat immune to her charms. There are frequent disagreements with the local schoolteacher, Mr Coast, a man who resents Mary for having blocked his application for a more prestigious role outside of the village. The pair clash again when Mary refuses to sell a piece of land to the County Council, partly for sentimental reasons and partly to annoy Mr Coast who wishes to turn the ground into a playing field for the children. These interactions highlight a stubborn, dogmatic steak in Mary’s nature, a facet which makes her character seem all the more human and believable – naturally, we all have our own particular flaws and shortcomings, and Mary is no exception. Perhaps above everything else, Mary is determined not to end up like the older women in the Robson family who gather together on Wednesday afternoons in nearby Market Burton, their lives revolving around banal talk of ailments, general gossip and the best methods for darning holes in socks. From one generation to the next, the elders have moved to the town after retiring from their farms, simply to wither away and die like old trees starved of a sense of life and vitality. Then, into the relative stability of the Robsons’ world comes young David Rossitur, an enthusiastic socialist full of radical ideas for the implementation of social change in the valleys of East Riding. Rossitur favours a more generous living wage for all farm labourers over a reliance on the philanthropy or goodwill of their employers come harvest time. He stirs up everything in Mary’s world on both a professional and a personal level, encouraging her workers to join a labourers’ union to fight for their rights. Here’s a brief excerpt from one of Rossitur’s feisty but good-natured debates with Mary. Even though Rossitur ardently disagrees with everything Mary and her class represent – in particular, their strong beliefs in time-honoured principles and traditions – he finds himself captivated by her spirited personality. Mary, for her part, is equally attracted to Rossitur, stuck as she is in a stagnant marriage utterly devoid of any spark of excitement. I don’t want to say too much more about the plot. You can probably guess how the story plays out, but it’s fair to say that Holtby throws in a few surprises along the way. My only quibble relates to certain events towards the end of the novel, some of which feel a little contrived and heavy-handed – engineered to force a conclusion to the story. The novel does a fine job of exploring various timely themes, including the balance between tradition and progression, the need to let go of the past, the rights of workers vs employers, the dynamics between the different social classes, and the tensions arising from family obligations. For a debut, it’s pretty good – well-written and engaging, with plenty of scope for further development of the relevant themes in subsequent novels. Holtby brings a strong sense of authenticity to this story, an element which stems from her knowledge and experience of the community she portrays here. For the most part, the main characters feel real and sufficiently fleshed out, their personalities are sketched in shades of grey rather than purely black or white. Mary, in particular, is fully realised on the page. While there are times when she is kind and considerate, there are occasions when another side of her character emerges, one that reveals a somewhat stubborn, selfish and self-protective streak to her nature. Nevertheless, I found it easy to warm to Mary in spite of her failings. All in all, Anderby Wold is an interesting and convincing portrait of a community wrestling with the prospect of significant social change. I’ll finish with a final quote, one that captures something of the dilemma that Mary faces as she contemplates an uncertain future ahead. 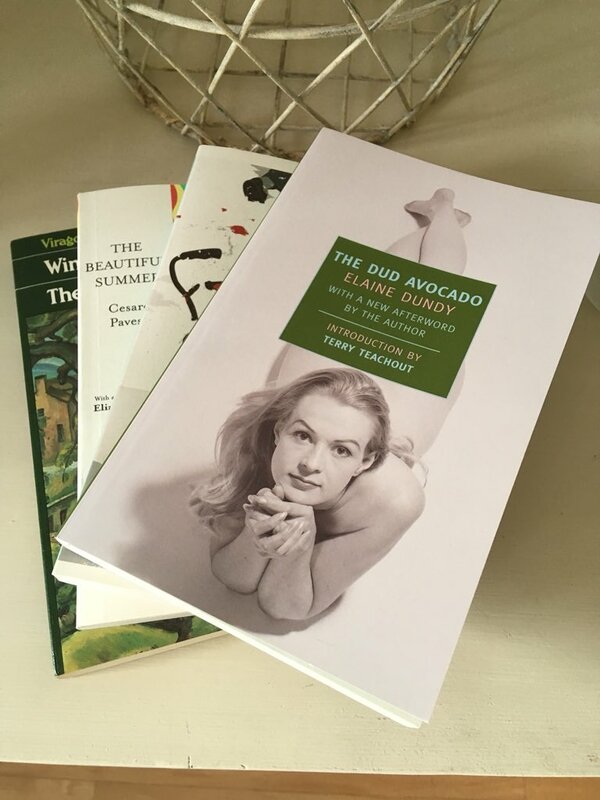 Anderby Wold is published by Virago; personal copy. This entry was posted in Book Reviews, Holtby Winifred and tagged #ReadWomen, Book Review, Classics Club, Fiction, UK, Winifred Holtby on July 4, 2017 by JacquiWine.